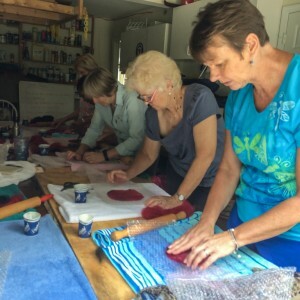 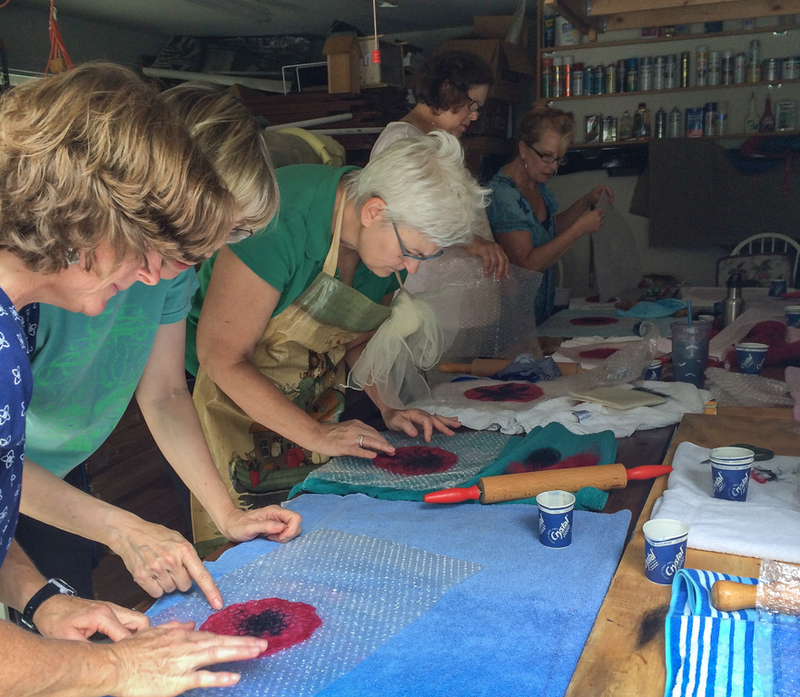 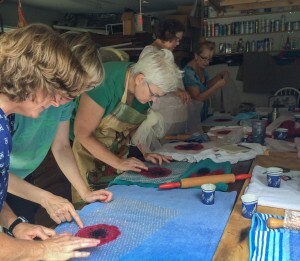 In June, Jane Burke taught workshop attendees how to make Felted Flowers. 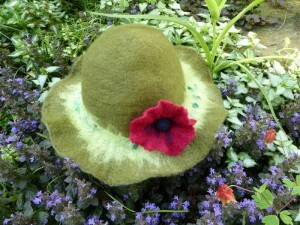 Felt Flowers can be pinned to a hat or used as a brooch and make delightful gifts. 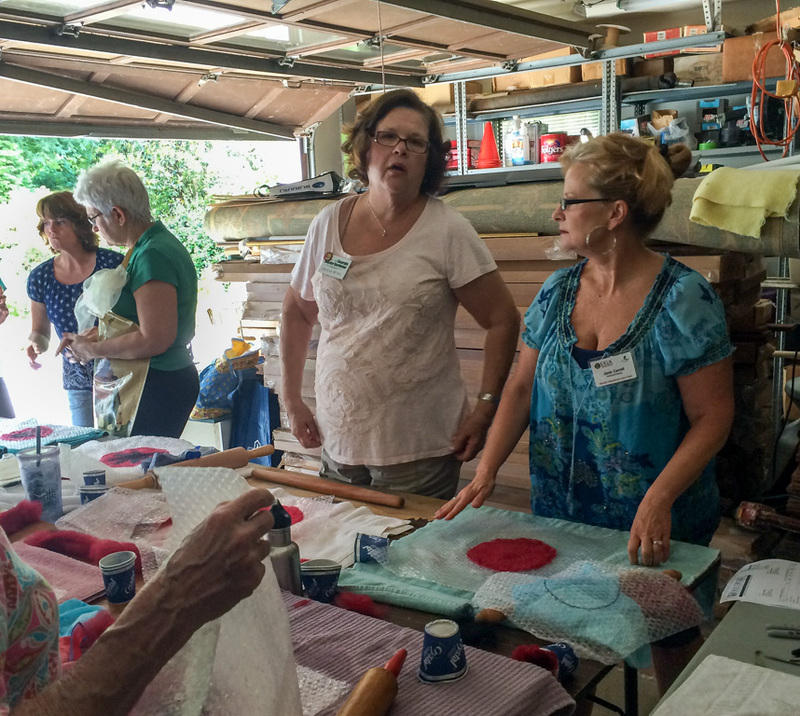 Everyone had a great time at Jane’s and each member made one red poppy with a black center and then took home supplies to make a second flower.